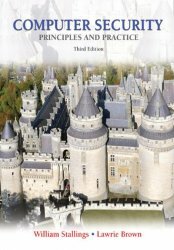 Computer Security: Principles and Practice, Third Edition, is ideal for courses in Computer/Network Security. It also provides a solid, up-to-date reference or self-study tutorial for system engineers, programmers, system managers, network managers, product marketing personnel, system support specialists. In recent years, the need for education in computer security and related topics has grown dramatically—and is essential for anyone studying Computer Science or Computer Engineering. This is the only text available to provide integrated, comprehensive, up-to-date coverage of the broad range of topics in this subject. In addition to an extensive pedagogical program, the book provides unparalleled support for both research and modeling projects, giving students a broader perspective. It covers all security topics considered Core in the EEE/ACM Computer Science Curriculum. This textbook can be used to prep for CISSP Certification, and includes in-depth coverage of Computer Security, Technology and Principles, Software Security, Management Issues, Cryptographic Algorithms, Internet Security and more. The Text and Academic Authors Association named Computer Security: Principles and Practice, First Edition, the winner of the Textbook Excellence Award for the best Computer Science textbook of 2008. Easily Integrate Projects in your Course: This book provides an unparalleled degree of support for including both research and modeling projects in your course, giving students a broader perspective. Keep Your Course Current with Updated Technical Content: This edition covers the latest trends and developments in computer security. Enhance Learning with Engaging Features: Extensive use of case studies and examples provides real-world context to the text material. Provide Extensive Support Material to Instructors and Students: Student and instructor resources are available to expand on the topics presented in the text.